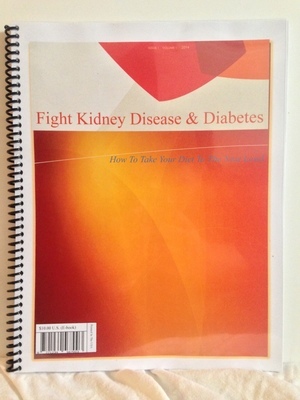 PURCHASE YOUR $5.00 DIET AND LIFE MANAGEMENT GUIDE TO SUPPORT KIDNEYBUZZ.COM AND IMPROVE YOUR HEALTH OUTCOMES. CLICK HERE. 2. Place the pork tenderloin in a roasting pan or casserole dish with a lid. 3. Combine the remaining ingredients in a bowl and stir. 4. Spoon the apple mixture around the pork tenderloin. 5. Cover and bake 40 minutes. 6. Remove the lid and spoon the apple mixture over the tenderloin. 7. Return to the oven and bake 15-20 minutes longer until tenderloin is browned and cooked through. KidneyBuzz.com will continue to provide you with informative articles and healthy recipes that are appropriate for both the renal and diabetic diet daily. Do not forget to visit our E-commerce section and support us by purchasing one of our NEW products. We have also just started a New Form where your can connect with potential Donors and others with Kidney Disease and/or Diabetes for FREE. All are welcomed, so join now! KidneyBuzz.com would like to remind all of its members to always check with your Dietitian before making any changes to your recommended diet.